"Elita Beverly Hills 8 oz Hair Mask Repair is a Paraben free, salon quality, professional formula designed to revive your hair. Fused with natural key ingredients such as sodium PCA as humectant, hydrolyzed vegetable keratin for split-ends repair, amino acids for oil regulation and regeneration of damaged hair, and Vitamin B5 for promoting thicker hair. 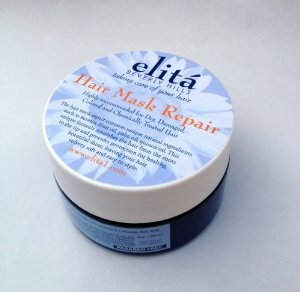 Elita Beverly Hills 8 oz Hair Mask Repair is designed for both your natural hair and your favorite hair extensions."